Trust Shuttle Express for your private group transportation. 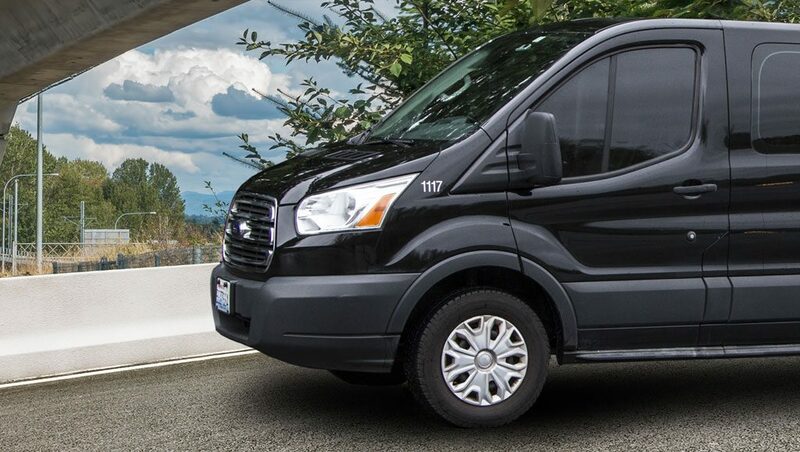 We offer professional, affordable group transportation services throughout our service area, including King, Pierce and Snohomish Counties. Private service means the van is booked exclusively for you, so we arrive at your door on your schedule, then we’re on the way to your meeting or event with no other stops. With Shuttle Express, you know your group will be safe and you’ll arrive to your destination on time. May through September is peak travel time in Seattle, so reserve vehicles and any private service well in advance. 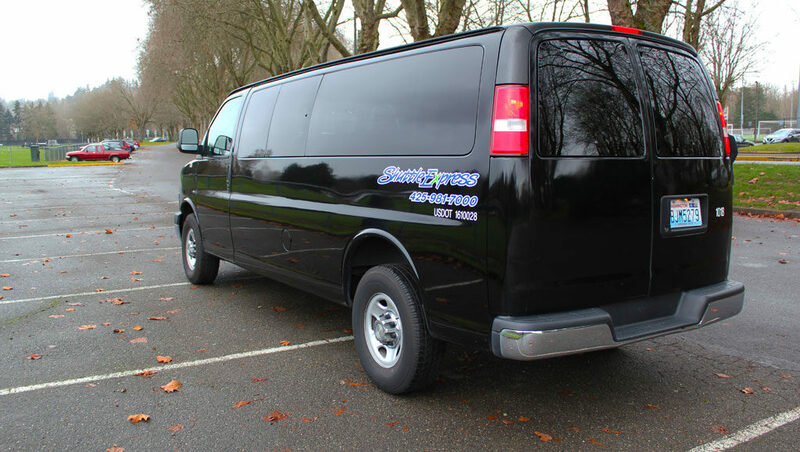 For personalized service, email chartersales@shuttleexpress.com or call 425-981-7096. We’re here to help! Fill in the form below to contact our group transportation specialist. Book your trip, save time! The drivers and the service from Shuttle Express was top notch. You guys were reliable, friendly, easy to work with. I will definitely recommend you to my colleagues at Microsoft and you will also be the first folks I call when I have another event. I really appreciated working with you. You answered all my questions, offered advice, and were very prompt in your responses. I would highly recommend Shuttle Express to my friends for airport transportation as well as events like this. I was very impressed. The driver was wonderful, the coach itself was beautiful, the experience with Shuttle Express overall was completely seamless. The price was very reasonable and the service was exceptional. We will definitely use Shuttle Express again. I’m very impressed with our latest ride from Kirkland to the airport. Steve was on time, was very polite (offered his arm to my wife to help her dismount the van) and of course got us to the airport in plenty of time. It was great! The driver dropped us off right there and was close by to pick us up afterwards. Got back to the hotel pretty quickly too…Bus was comfortable. I had the pleasure of the kind service from your chauffeur, K.J. I had been visiting my ill sister in Seattle and appreciated the comfortable ride to SeaTac Airport on the morning of my departure. Thank You. It’s always such a pleasure doing business with Shuttle Express! From setting up our initial request to finalizing our plans, you always made it so easy and everything went so seamlessly. We will use your services again next year! THANK YOU for making our company event a successful one last week. The drivers were professional and extremely easy to work with. I appreciate your creativity and patience with my numerous requests and accommodating to our needs. Things could not have ran as smoothly without your help! THANK YOU!!! All went well, as always. Your service is impeccable, outstanding.